Affectionately called the “The Warm Heart of Africa”, Malawi is a landlocked country in southeast Africa. Along with its amazing national parks and reserves, Malawi's hospitable people are its greatest asset. While the land is marked by the Great Rift Valley, running from north to south and Lake Malawi, the 3rd largest lake in Africa, runs along the east, the real pleasure of visiting this land comes from sharing experiences with the locals. So, whether it’s travelling through the Nyika National Park, Malawi’s largest national park with its high number of leopards or indulging in water based sports at Lake Malawi, the courteous behaviour of the Malawi people will make your Malawi holiday an absolute delight. 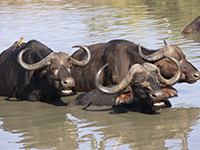 Malawi's wildlife population may not be able to compete some of Africa's other popular travel destinations but it does offer large tracts of undisturbed wilderness. So, while you may not spot as many lions as you would in the neighbouring national parks, spotting Malawi's playful lemurs is a different type of highlight and should definitely feature on your list of things to do in Africa. 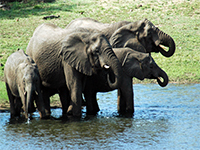 Malawi, the 'Warm Heart of Africa' provides its beholder an opportunity to view wildlife in undisturbed wilderness. With about 500-600 recorded bird species, unique marine life and resident hippos, elephants, antelope species and more, Malawi is the perfect destination for Natural History enthusiasts looking for the road less travelled. Malawi is also well known for its large number Orchid species in Africa. Malawi being a land-locked country is at biological crossroads, with species occurring from Southern, Central, and East African regions.